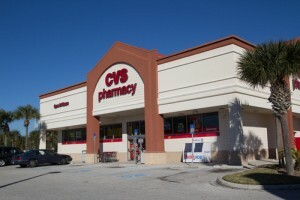 Free 8×10 Photo Print at CVS–Just in time for Valentine’s Day, grab a free 8×10 print from CVS using the code VALENTINE. Also select in store shipping so it’s entirely free. Valid through today February 12th. Free Sample of Vichy Mineral 89-Click here and fill in the form to request your free sample of Vichy Mineral 89! If the Virtual Assistant box is in the way, just close it to view the form. Available for a limited time. Free Sample of SkinCeuticals Serum–Click here to fill in the form and request your free sample of a SkinCeutical Serum based on your unique skin type. Available for a limited time, while supplies last. Free $10 Credit at ThredUp–Click here to sign up for ThredUp and your account will be given a free $10 credit to get you started (plus 20% off your first purchase). You can also earn more credits by sharing the website with friends! Free Subscription to Wine Spectator Magazine-Click here to begin your complimentary subscription to Wine Spectator magazine! You’ll get 15 issues at no cost! Available for a limited time. Free sample of Lancome Absolue Soft Cream- Just fill in and submit this form to request your free Lancome Absolue sample! Free Glock Promo Pack–Fill in this form and request your free Glock Promo Pack that includes a Glock Lanyard, Pen, Pencil, Sticker, Patch and Glock 17 keychain! Available for a limited time, while supplies last. Free Diet Coke Blueberry Acai or Strawberry Guava at Jewel–Today only, download your ecoupon to redeem for free Diet Coke Blueberry Acai or Strawberry Guava to your shoppers card and redeem at Jewel-Osco.